New year is loading…, build your websites with new Creative WordPress Themes. All themes are fully responsive, coded with HTML5 and CSS3, and comes with amazing demos, multiple header styles, shop layouts and number of CMS pages. These new WordPress Themes are truly solution to build powerful and professional business website or eCommerce store. All WordPress themes files are well organized and documented so anyone can use, modify or customize these templates. All themes are included Visual Composer Page Builder which gives you freedom to create awesome websites with almost any layout you can imagine in only couple of clicks and will save you lots of time working on the site content. Our goal is to deliver a best quality product to our customers. Don’t wait a perfect time. Athene is suitable for e-commerce websites. We have included multiple layouts for home page, product page to give you best selections in customization. Athene is not just a WooCommerce theme, we had a plan in order to develop Athene for any kinds of websites: Business, Creative, News, Corporate. Logancee is an multipurpose WooCommerce theme fully customizable and suitable for e-commerce websites of any purpose. The template is characterized by universality, attractiveness and easy customization. With the gradients, unlimited colors and Google Web Fonts you can create your dream shop in few minutes. Domino is a new theme for your new store with modern design. This theme is suitable for Fashion, Furniture, Clothes, Shoes, Digital, Handmade shop. Domino includes many great features like mega menu, slider, page builder, product quick view, wishlist, compare, zoom, header builder, footer builder. ULMS is a fully functional Universal Learning Management System for WordPress that provides a wide range of educational services. Ernast is a Responsive theme. It’s suitable for finance, insurance, consulting and similar businesses. Also well-coded and no code knowledge required to use this theme. Dash is a Corporate Agency Business theme. The template fits perfectly for Business Agencies, Law firm and Corporate sites. It comes with a hundred valid html files those built on all care for you. You’ll find 29 unique Home pages those come with different slider types such as Fullscreen, Video & Kenburn. M&M puts all your content in one, minimal and creative, page. This template is the perfect solution for Agency or individuals. Showcase your case studies or project pages you craft. You can generate content dead-easy since M&M is built on SASS and Jade. Flipcart – Multipurpose WooCommerce WordPress Theme is a perfect choice to experience. The excellent theme is suitable for any e-commerce websites such as for mega store, beauty, cosmetic, fashion, food, furniture, toys, auto, tools, lingerie, wine, pet, book, and kids. Viktor is a premium WordPress template designed for all type of corporations such as banking, finance, consulting, management, real estate, insurance, legal & law, startup, venture capital, technology, and so on. 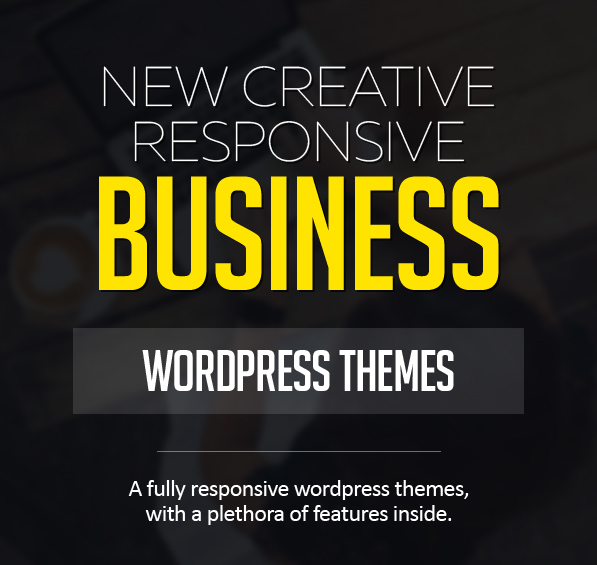 Task – Business & Corporate WordPress Theme! Business Consulting theme is a best tool to create a website for a coaching and business training company fast and easily. A consulting company needs a contemporary-looking website with modern design, intuitive layout and handy functionality that lets you create sign-up forms, lectures timetable, events schedule and curricula. Business Consulting WordPress Theme embraces all of this, and all this variety of functionality is brought right to you by a custom admin panel. Touring – Visual Theme For Fashion Store is a modern theme for WordPress, WooCommerce plugin.The Touring theme is suitable for fashion, shoes, sport, glass, accessories and any other kinds of online store.The visual means we can design header, footer by drag & drop feature from Visual Composer plugin. We can create many header, footer layouts and choose one best layout for website. X-Shop is a modern, clean and professional WooCommerce WordPress Theme, It is fully responsive, it looks stunning on all types of screens and devices. Lukla is a classic and elegant blog theme easy to use. Its fully responsive design is focused on readability. Your blogging experience will be as simple and pleasant as possible, and your readers will be attracted by the elegant and well-structured posts. MrBara is an unique and modern WooCommerce WordPress shopping theme for WordPress built with Bootstrap and powered by Visual Composer. It was built for your digital store, hitech store, watch store, men store, women store, clothing store, furniture store, book store, cosmetics shop, luxury jewelry multipurpose online stores. Pollen – It’s perfect WordPress theme for your online shop. It has all the tools and plugins to create a super fast and responsive website with a minimalistic and amazing user experience. Dotted MultiPurpose WordPress Theme is a Responsive, WordPress Theme that features a clean and slick design that is suitable for Corporate and Online Store. The theme comes pre-packed with a drag and drop page builder (Visual Composer) to ensure you can easily design your website just how you like it. Economy is a clean and Modern WordPress Theme. Economy is best suited for corporate website like Financial Advisor, Accountant, Consulting Firms, insurnace, loan, tax help, Investment firm etc. This is a business template that is help full for online presence for Corporate Business and Financial Firms. VG NewYork is a creative, modern WordPress theme with 8 predefined home layouts which brings lots of choice for your shop. The theme is fully responsive and ensures that your website will function at its best on all web enabled devices including smart-phones and tablets, such as iPad to provide your target audience an optimal viewing experience. Shield is a pixel perfect creative multi purpose WordPress Theme based on Bootstrap and Great Drag and Drop Page Builder designed with terrific attention to details, flexibility and performance. It is ultra professional, smooth and sleek, with a clean modern layout, for almost any need: agency, freelance, blog, magazine, portfolio, photography, corporate and ecommerce shop. VG Lucian is a well-designed eCommerce ready theme that you can absolutely use for online clothes stores especially fashion, beauty, accessories, wedding or any other web store. This theme is very flexible and packed with options that make website development an easy task. It has a fluid and fully responsive layout design to make sure that your visitors will have an awesome viewing experience each time they go to your website.